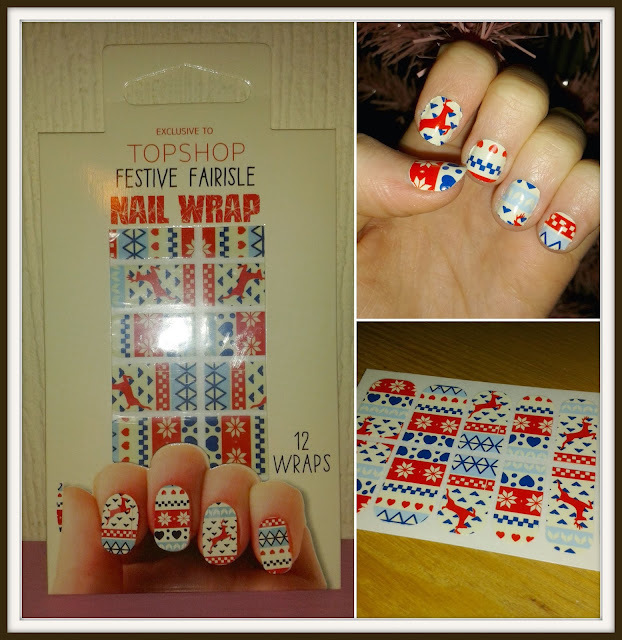 Topshop Nail Wraps | "Festive Fairisle"
My sister knows I love nail art, so for my birthday a few weeks ago she did well to get me these! I'd never used wraps before, I always use a dotting tool to paint designs on so I couldn't wait to try out something which could make things a lot easier. Unfortunately, working in a cafe I'm not allowed to wear anything on my nails so had to hold out until I got my Christmas break. 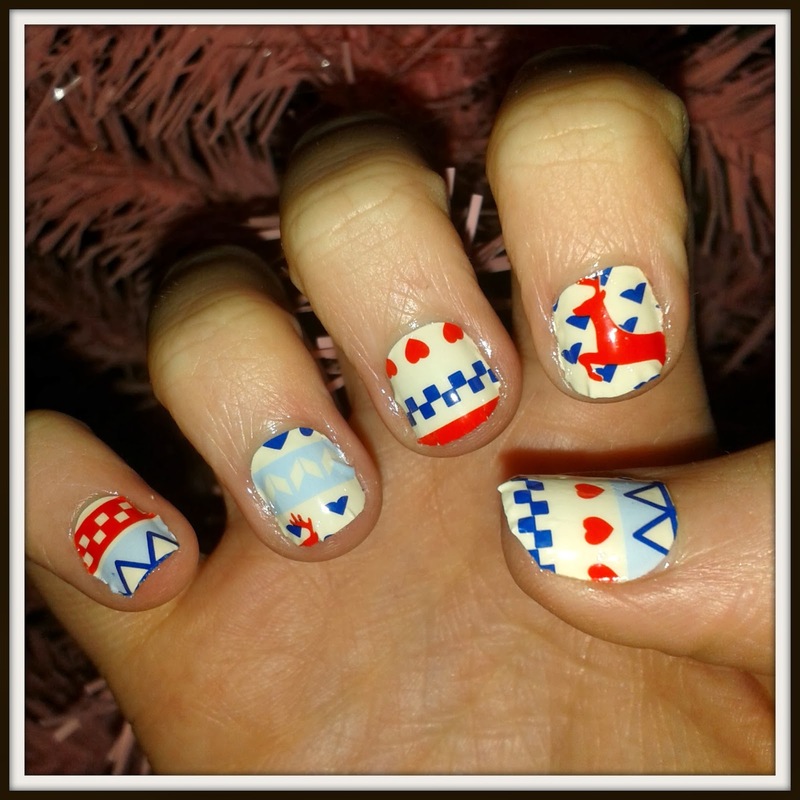 I actually applied them on Christmas Eve which was lovely to do because it got me all excited! The back of the packet instructed me to apply the sticker to a nail, bend it under the nail then file it down into shape. The stickers were very accommodating - in other words, way too long for my short nails. No matter, I simply cut the sticker down to size after applying then used a file. Better too long than too short, especially as I kept the excess to use another time. For a first timer, I was impressed at how non-fiddly this actually was. I simply applied, smoothed, cut and filed. I didn't really like having to file around the edges though as it meant I had to file my finger a bit - ouch. Not too shabby though - the design is so cute and lovely for Winter, I'm not sure if Topshop still stock them because I can't find them online, however they do a good range of wraps and other nail art bits and bobs. I got plenty of comments on these on Christmas day, so I really recommend nail wraps if you want an easy, stand out nail pattern, and I'll definitely consider nail wraps in future! Where do you get your nail art supplies from? Disclaimer: I was gifted these by my sister and so don't know the exact price.